Fragrant, floral, and spicy: the aromas of this Soberanes Pinot Noir seem to leap from the glass. 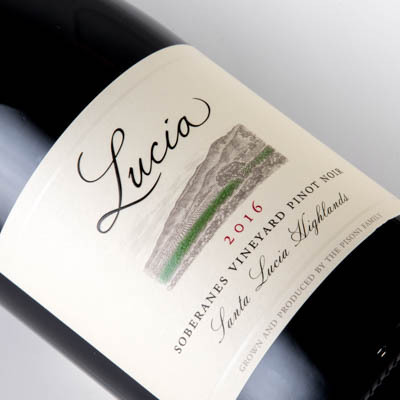 Dark red in color, the wine offers notes of rose petal and lavender as well as a seamless blend of graphite, cherry, blackberry and wild strawberry. All combine to give it a truly elegant nose. Minerality is evident in the crystalline purity and focus of the wine. Its rich palate is replete with soft, velvety tannins that conclude with a subtle, many-layered finish. Be sure to give this wine air; if cool, allow it to warm up a little so that the shift in temperature makes present the full range of its different aromas. We’re especially proud of the balance between the phenolic maturity of this wine’s tannins and its aromatic finesse. This wine will age wonderfully for a decade, but also drinks well now.